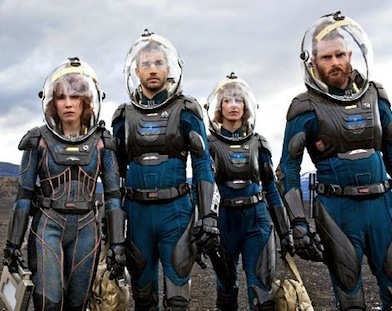 Ridley Scott was smart to not market Prometheus as a prequel to Alien, because that’s exactly what it is. Not in the cinematic “all your questions are answered” shoot-cut-wrap sort of way, but it does cleverly give fans of the original the easter egg they’ve been waiting for. Scott is smarter here then he’s been in a long time, presenting you with special effects that make Battleship and everything else from recent years besides District 9 look like they were shot a day after computers were invented. Scott has also not lost his talent for creating the same tension for the audience that his characters are experiencing.